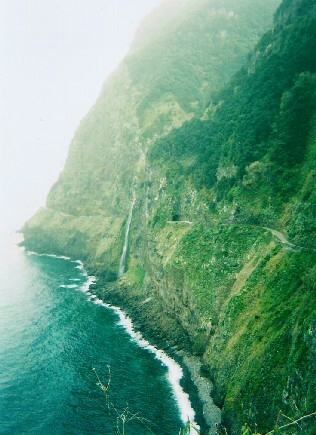 A visit to Madeira is like a nice weekend or a day in the country. It is both familiar and a delightful change from routine life for northern Europeans. 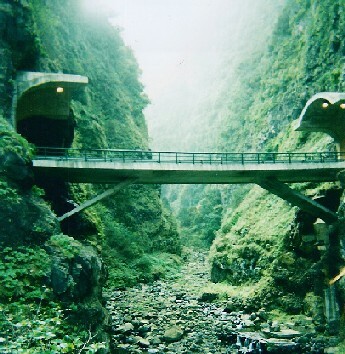 Semi-tropical and located in the Atlantic Ocean, 600km off Morocco, Madeira is an autonomous part of Portugal and is therefore within the Euro-zone. The island has been transformed by European Union funding over the past decade. A new airport with a remarkable runway carried on stilts over sea and cliffs allows easier access from mainland Portugal and other parts of Europe. Access to many coastal and inland villages is being improved with extensive tunnelling through the mountainous terrain. The climate is pleasantly mild. Air temperatures range between 16°C and 19°C in winter and 21°C to 25°C in summer with an annual average of 20°C. Sea temperatures range from 18°C to 23°C. The north is generally wetter than the south with rain on an average of 80 days a year. Sunshine over the last 30 years has averaged 166 hours of sunlight in January and 255 hours in September. Northern Europeans tend to visit over the Winter and Spring, while Portuguese and Spanish visitors come in the Summer months. The lack of beaches means that Madeira must focus on a more specialised tourism sector than the beach-loving visitors catered for by the Spanish Canary islands such as Tenerife. Despite the growth in the number of hotels, Madeira provides a more gentile and upmarket experience than its neighbours to the south. English is widely spoken and the numerous banks have multilingual ATMs (cash machines) that accept most common debit and credit cards. Fishing is not as predominant as it was and the great whaling tradition is no more but coastal villages still have their fishing communities. 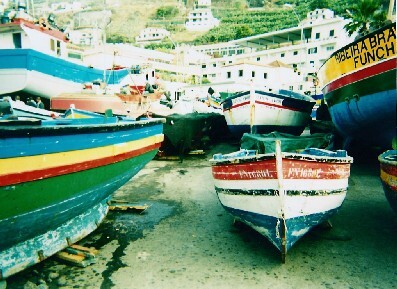 Leslie Thomas describes the fishermen of Cãmara de Lobos going out to sea with lines two miles long, barbed with a hundred or more hooks. The neighbouring island of Porto Santos is also inhabited. This was discovered by the Portuguese in 1418 - a year before Madeira. 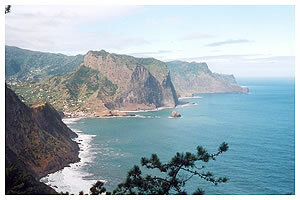 It is quite different to Madeira, being much smaller and flatter with a fine 9km beach. There are two other groups of (uninhabited) islands in the Madeira archipelago: the Desertas group of islands, consisting of Deserta Grande, Bugio, Ilhéu Chão and Prego do Mar; and the Selvagens Islands, consisting of Selvagem Grande, Selvagem Pequena and Ilhéu de Fora. Make the most of your time with "Rough Guide Directions Madeira". Slim, stylish and pocketable, the guide is an up-to-date, authoritative and user-friendly companion to this stunning Portuguese outpost. Full-colour and richly illustrated throughout, the guide highlights the best Madeira has on offer from wild mountains to precipitous valleys and the most beautiful walks on which to adsorb it all - giving you inspiration for things to do, 24 hours a day.You'll find accurate information on the regions top attractions from exploring the streets of the islands historical capital, Funchai, to the vast expanse of superb sand on Porto Santo as well as the regions leisure highlights and most unspoilt, architectural and child-friendly attractions. The guide features up-to-date listings of all the hottest new places to stay, eat, drink, club, shop and enjoy the wide array of leisure activities on offer to suit all budgets, and comes complete with comprehensive maps to help you find your way around. This 278-page guidebook to Madeira presents the country's highlights in a comprehensive format, illustrated with hundreds of stunning full-colour photographs and comprehensive maps. It is an inspiring background read and serves as an invaluable, on-the-spot companion - but can also be kept as a superb, visual souvenir of a visit. 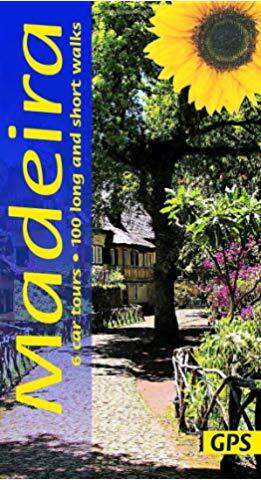 Incisive essays focus on Madeira's history, people culture and photo features show the island's fascinating attractions, ranging from its legendary sweet wine to its complex patchwork of terraces. Detailed, cross-referenced maps allow you to quickly pin point areas and sites mentioned in the guide and section of Travel Tips incorporates all the travel details and contact numbers visitors will need.